Donna Mae Kading - Edmonton's Burial & Cremation Professionals | Trinity Funeral Home Ltd.
On Tuesday March 28, 2017 Donna Mae Kading of Edmonton passed away at the age of 83. She leaves to mourn her loving family; Daughter Nora Linfield (Dave Thomas), granddaughters: Kara Thiel (Chris) and Shayna Clancy (Brenn); great-grandsons: Gerald, Kade and Carter. Donna also leaves her sister Jackie (Aino) Jensen as well as numerous nieces, nephews, other relatives and friends. She was predeceased by husband Daniel Kading, her mother Harriet Ruddy, companion Gladwyn Young, son Jeffrey Kading, grandson Jason Clancy and son- in-law David Linfield. Aunt Donna caught the biggest Jackfish that I have ever seen come out of Diefenbaker , only to lose it as it broke the chain stringer! I remember her struggling to hold that fish up,being that it was as long as she was tall.Impresive bragging rights by my standards! Love always. Donna faced more than her fair share of challenges in life but remained happy, loving and giving always. Our thoughts are with you. her daughter (Nora), and grand daughters (Kara and Shayna), and the great grand munchkins. Big hugs, Nora. Aunt Donna loved the colour purple (all shades) lol. 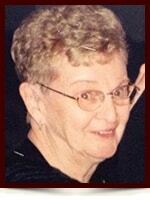 She was very kind, always willing to help you, and hosted some of the best Christmases that I remember as a kid. Say hi to Nan. Aunt Donna will be greatly missed . She was a firecracker and I will eat my peas now.